Engaging youth leadership and helping them develop their skills is one of the most rewarding parts of our work. 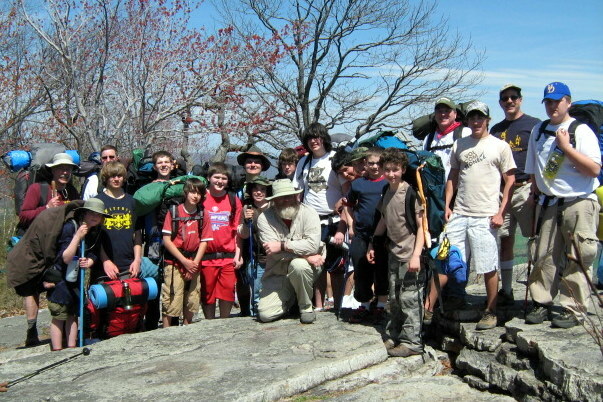 Scouting may have many things in common with other youth activities but it is unique. 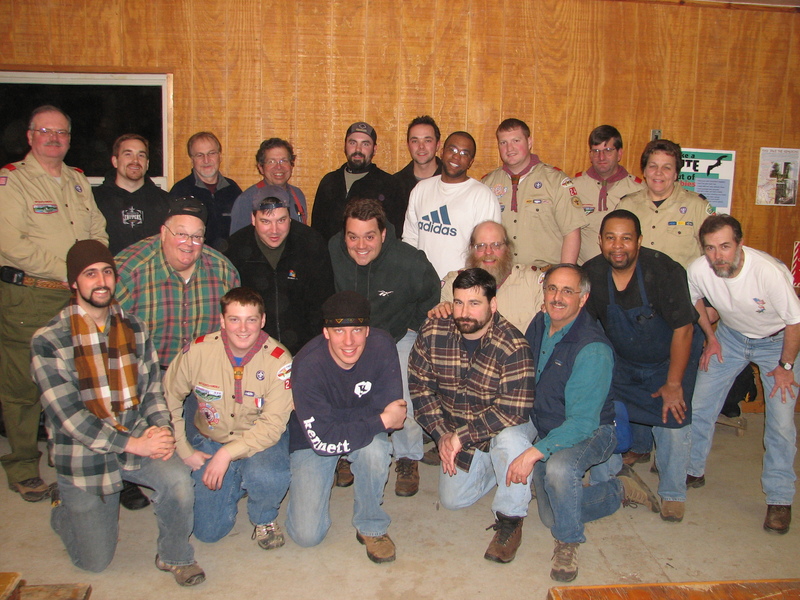 We apply what we know from our professions and our own experiences to training and mentoring youth, but often miss the unique opportunities Scouting presents. Start by laying aside what you know and see if the ideas I have collected here help you get a better handle on working with your Scouts. The posts I’ve selected for this newsletter lay out broad ideas and principles that have helped me. Every Scout a Leader is a good start. I hope it gets you to rethink your definition of leadership and differentiate it from responsibility. This won’t be the last newsletter about youth leadership, it’s a fascinating, fun, essential, aspect of Scouting that deserves your study. Leadership develops when it is practiced in real time, in the thousand small interactions that can’t be simulated in a training session. 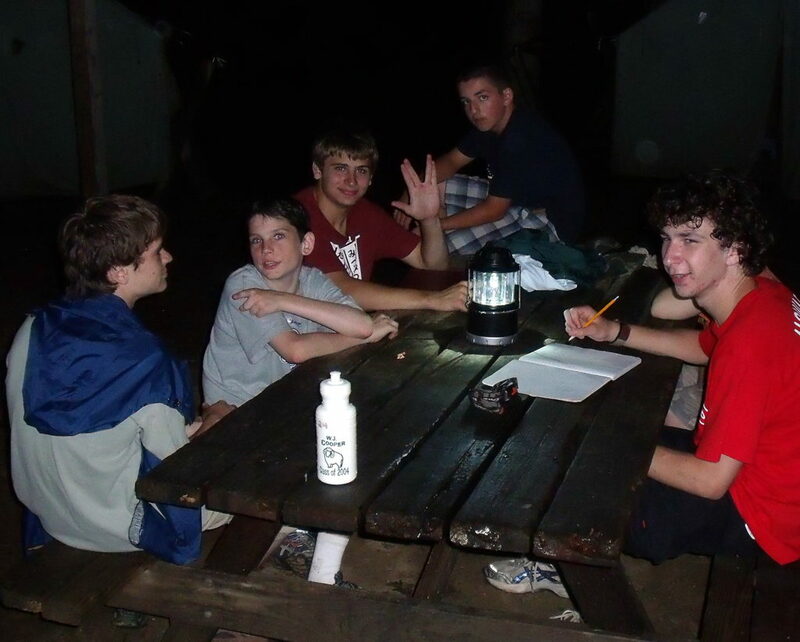 Here’s patrol at summer camp gathered around a picnic table logging their thoughts for the day. No adult interference, 45 minutes to do ten minutes worth of work, inefficient, chaotic, and the best thing that ever happened to a youth leader. We tend to focus on directive leadership roles when engaging our Scouts in leadership, but every Scout exercises leadership skills. Here’s some thoughts you can use to encourage all of your Scouts to engage in leadership. What is a “Youth-Led” Troop? 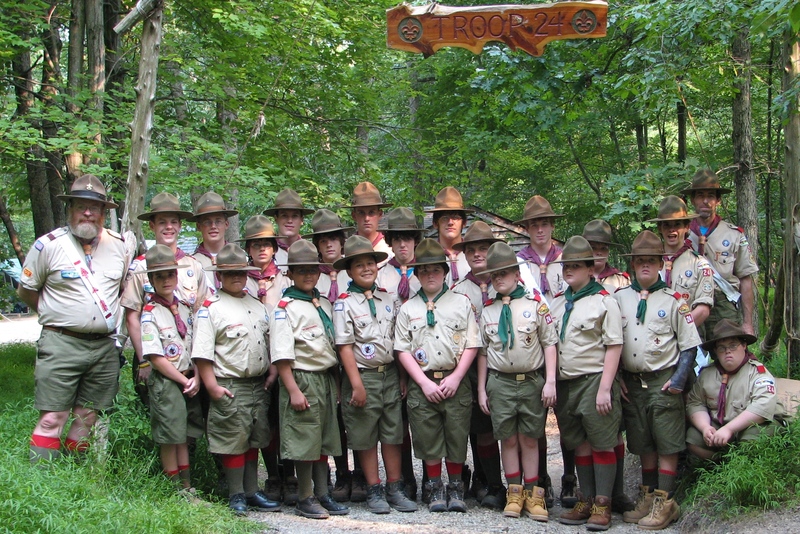 You’ve heard the assertion “we have a youth-led Troop,” but what does that really mean? Truth be told young people lead themselves all the time, it comes quite naturally to them, and it would be surprising if you did not have a youth-led troop. What adults do or don’t do has more to do with this than what Scouts do or don’t do. Imagine you are 13 and have just been elected patrol leader. Perhaps you’ve watched how all this works for a year or two and have at least some idea of what patrol leader does. It’s likely that this is the first time you’ve had this kind of responsibility so you can’t really fully appreciate what it means. Perhaps you’ve received some formal training; maybe it made sense at the time, maybe it didn’t. How the adults around this new patrol leader respond is crucial to how their skills develop. Our ideal responsive leadership role as a barely perceptible influence empowering young people to do things for themselves. We accomplish this in a progressive partnership: adult and youth roles are collaborative, not hierarchical. When we discuss positions of responsibility for Scouts we ought to ask if most of the things that happen in the troop at the adult level done according to a job description adhering to a chain of command or do adults mostly just work together cooperatively to do what needs to be done? Who makes sure the adults perform their duties? How does that happen? I’ve sorted through tons of jingle-jangle, gimmicky camping gear to find stuff that stands the test of time. My choices aren’t always the newest or cheapest, they are ones I’ve relied on it for many years. 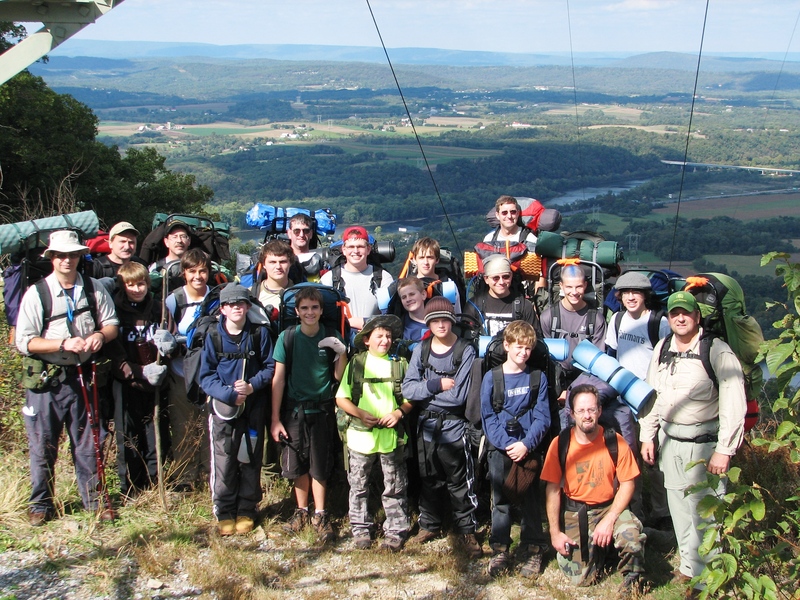 Scouts must learn to use a compass and map together in order to advance in rank. It follows that they need a compass, but which is the best Scout compass? Dampening – the capsule (the round container with the magnetic needle) of a quality compass is filled with oil that slows or dampens the movement of the needle. Cheaper compasses take a long time to settle. Markings – cheaper compasses often do not have a direction of travel arrow or adequate degree markings. Compasses come in many forms; some more useful than others. 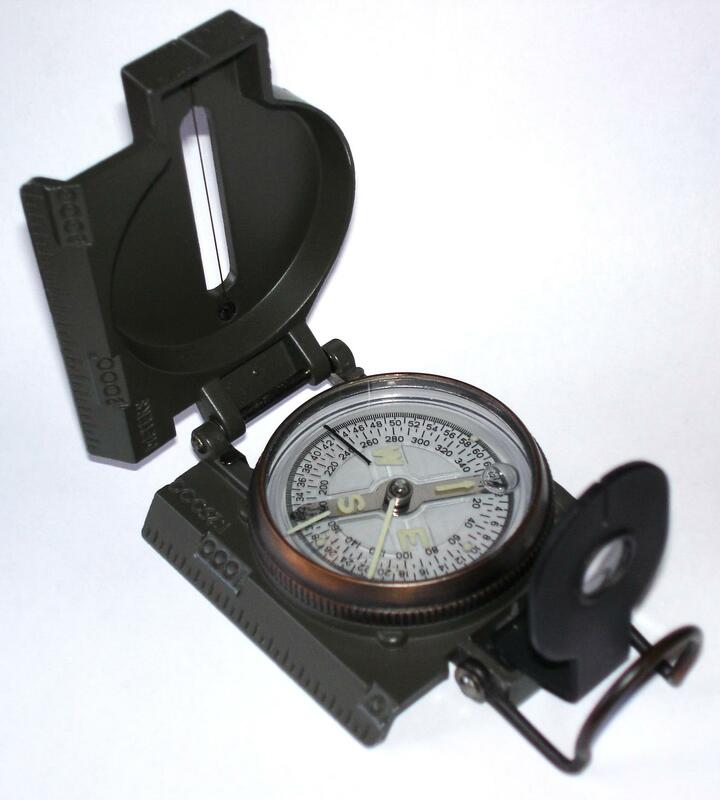 Lensatic compasses are designed for military navigation methods that are different from Scouting or orienteering methods. A true mil-spec lensatic compass is several times more expensive and accurate than the cheaper knockoffs. 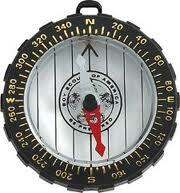 Lensatic compasses are not as useful for Scouts as the base-plate compass. 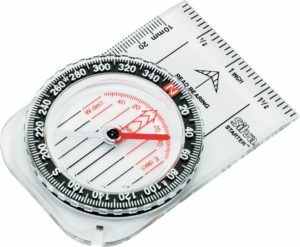 Simple compasses like the Silva Trailblazer above are significantly more difficult to follow than base-plate compasses; they are also more difficult to use in taking bearings from a map.